Cool. So it’s pretty clear that it’s a success. How do you re-invent the product to make sure it stays that way? Tara: Well, fortunately we have a vast font of ideas. So I think it’s not hard to maintain the momentum that we started with, getting this kind of kooky mix of novelty characters. I think it’s also helped our energy a bit to intersperse it with some IPs, because those can be kind of fun to work on in a different way, and then it just leaves the anticipation for the classic series that now only come out once a year or so. That’s injected some new life into it, and also working with the movies, which is a bit of a hybrid between IP and us, that’s been a lot of fun. Because it is quite varied, you get to alternate between regular characters and other stuff. Austin: Going back to the classic figures, even if we’ve already released 441 characters, there are still so many things to cover. Luckily for us, the world is so huge, there are still multiple roles for us to make. How far out do you plan the series? Tara: We usually work a little over a year in advance, and we try to look at a whole year at a time. So what we’re working on now will be out in 2019. And when it comes to numbers of series, do you do three a year, or four a year…? Tara: That’s been the tradition. Internally, we have different milestones where we are proposing concepts, and quite often we’ll come up with “what if we did six different series” or “what if we did something only in this one country” or whatever. The way that it’s shaken out for the last few years has worked out to about three series, but that’s never guaranteed. It could be more, it could be less. Every year, we have to kind of make our pitch internally and see what comes our way. Sure. But that means that what you’re currently working on is something that’s quite possibly about three series ahead of what’s out now. Sometimes the series have more than 16 figures. Why is that? And then you also had the Team GB series, which was only nine. Tara: That I think had a lot to do with the nature of the project. We had to turn it around so quickly that we couldn’t develop new elements, so it was really the best characters that we could put forth that represented Summer Olympic athletes, given what we had. Now you have a costume series, and you have had a monster series. Apart from that, have you considered other genre themed series? Tara: We kick it around all the time, and I think it’s fun to mix between the two, the mix-and-match classic and a more themed thing. This one was… we really wanted to celebrate the anniversary of the minifigure, so that was the best way we could think of doing it, that was a natural fit. And with the monsters, I think it was falling close to Halloween and that’s always been an inspiration for us, too. So that one was also natural. I don’t want to say any of the other ones we’ve considered, in case we do them in the future! Probably something like sci-fi or fantasy or a historical theme is something you would consider then? 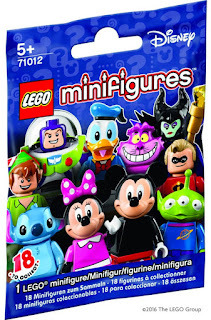 How do you decide how many licensed and how many non-licensed minifigures you release each year? 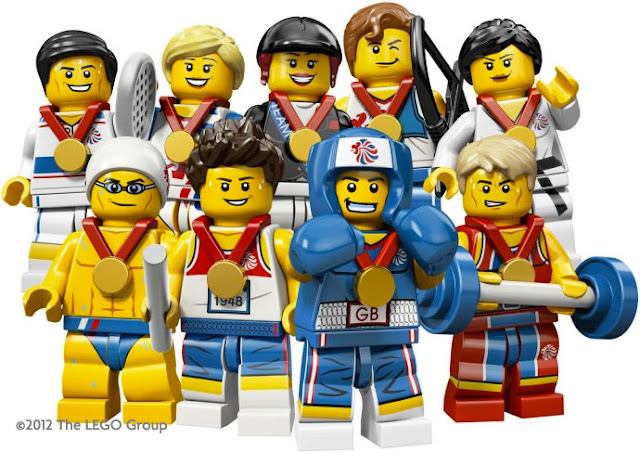 Tara: It has to do more with the broader LEGO portfolio. So of course, if we have other lines going on that make sense to pair a minifigure series with, then of course that’s what we’ll do. Certainly the movies is a case of that, and we love to get as many characters as we can into the movies, so why not let them have a life in physical form? So usually, it’s from a broader perspective. And also sometimes, as in the case of the Simpsons, we have a theme that doesn’t lend itself to a broad play theme assortment, it’s more character rich, and then we also had the opportunity to do the Simpsons House and the Kwik-E-Mart. So there’s a few properties that really are a good fit that way, in that it’s character, character, character, and maybe a big set. And then we manage the bigger sets, too, for those properties. But how does that work? Does that mean that you’re working on your stuff, and then at some point somebody comes along and says, “you’re going to have to put that on hold, that’ll have to be the next series, because we need this now”? Tara: Normally the decisions are all made at once, so we’ll get the landscape of what’s coming in a certain year. Sometimes we get surprises, like Team GB – which I wish hadn’t been such a surprise, because it’s not like the Olympics haven’t been happening for the last two thousand years – but it was somebody’s brain child that came along, “why didn’t we think of that? Yeah, we’ve got to do something…” and it can be tricky, there’s a lot that has to do with legal and licensing and people making agreements and contracts, and sometimes things fall through at the last minute, and we have to figure out how to fill that gap. But in general, we have a pretty good idea of what licenses are coming our way and where we’re going to fill in with a product. Do you consciously try to balance it so you will have one of the classic series in between the IPs? Tara: Absolutely. We don’t want there to be too much of a drought, but we have to remember that there’s fans of everything, so some people really live for the particular licensed properties that we put out, and others are just waiting for this one and don’t care at all about the other one. So we have to consider everybody. And the kids! 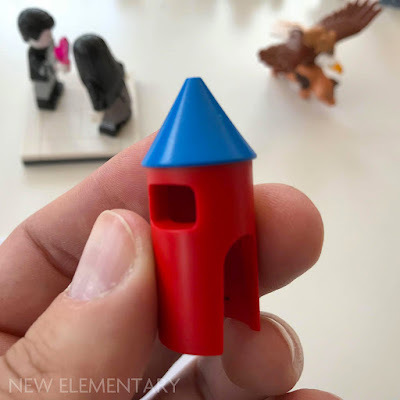 At New Elementary, we love new parts and new uses for existing parts – and from that point of view, the CMF line is particularly interesting for one specific reason, and that’s the accessories. What makes you decide whether to use an existing part or create a new one? Tara: Well, we’ll use an existing part if that is the right part for the character. So we’re looking at it from a character design perspective. We are also given more or less a budget, you could say, of elements, you know, “you can have X number of elements to work with”, and we’ll try to figure out the best way to spend that. So deciding which characters really need a new element. Tara: Yes, which ones really need it. Where are we filling a gap? We’ve never had a cactus costume before, for example. But if the character doesn’t need it, we don’t force it. We try to use them very judiciously and bring out the ones that are fun and new and will excite kids and fans the most. What kind of constraints do you then face, from a moulding point of view? Tara: I’d say that we’re redefining that all the time, so I have to hand it to our moulding and element development department for being extremely innovative and agile. In the past we weren’t able to so easily make moulds that could use two different kinds of plastic, or two different colours of plastic, that’s something that we can do more and more now, so we try to take advantage of that, like with the flower costume in the latest series. We could have done the colour with a print, but it would have been really hard to achieve that level of quality. That’s not an easy mould, but it’s one they’re willing to do because quality is paramount for LEGO. And they’re looking into new and more flexible moulding processes with interchangeable parts and… they’ve got stuff going on all the time. There are certainly limitations, we can’t mould things that can’t come out of the mould! Austin: Yeah, we need to make sure that the product can actually be made. Tara: And other times we’ll ask for the impossible, and we usually can find a compromise. Prototype of the rocket suit element. The colours were swapped in the final version. I would have guessed that in particular the big costumes must be relatively intricate moulds. Tara: They are, and we test them extensively. They have thin parts because of the way they have to fit over the shoulders of the minifigures, so we are really rigorous, and we start work on those costumes early in the process so we can make test moulds and product safety test them to make sure they don’t break and leave sharp points. Those are subject to a lot of tender love and care. Austin: I think the last one that had so many loops was the banana suit, because that one they were constantly changing to make sure that it could work, and that it could actually get out of the mould. How do you decide which plastic to use? Sometimes you use a more flexible kind. Tara: We do, and that is usually for product safety reasons. The default is ABS, and that’s what we have the most belief in, but if that’s going to either be too sharp or too brittle, then we’ll consider the soft one. Sometimes we use the soft plastic for more than one reason, like the soft tail on the mouse from the costume series – that’s for expression purposes, we like the way it feels and looks, but also because we couldn’t get it that thin if it were in a hard plastic. So there’s various reasons for doing that. But the mouse, for example, is actually a really complicated mould, to get the two different types of plastics to work together. Would you say that in the CMF line, you’re probably at the cutting edge of what the moulding department can actually do? Tara: Yes. We are definitely the ones giving them a lot of headaches. There are some building elements that will really stress them, because they of course have to then make sure that all the connections are working within tolerance and all that stuff. For us, most of our stuff has only a few simple connecting points, a head connector and so on. So it’s less strenuous on them that way, but as far as actual shapes go, and allowing it to be decorate-able and all those things, we definitely are one of the more complex projects for them. When you come up with a new mould, how does that work? Do you have a specific idea or almost a specific drawing, and then send it over to the moulding department? ...I’ll go to Austin and say, “let’s do an elephant girl”, and he’ll doodle that up and we’ll go brief the sculptors. And it’s usually not just out of thin air, we’ve done some other animal helmets before, so we’ve got some experience with that. We’ll have a rough wish, but we know that we’ll have limitations, and we go to the sculptors and they come back with their proposal, and we always have a mould engineer sitting in on our weekly design meeting so that they can flag things right away. But our sculptures are actually very good at knowing what we can get in and out of a mould. Tara: They’ll say “I see an issue here, there’s an undercut, we need a draft angle here,” and everybody’s sitting around the table early on in the process so we can work together and get the right design. 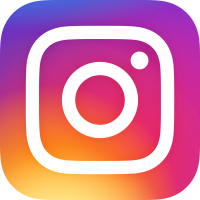 But fortunately, the company as a whole, I have to say, really values design input. They don’t overrule things just to make a simpler mould. We will invest in moulds with more sliders if that gives us an expression that we really need for the character. You work with a very specific and very iconic figure here. For the LEGO Group, this is basically the one thing that nobody has yet been allowed to copy. Tara: It’s a fiercely protected trade mark. But in this line, you also do a lot of experimenting with alternative attachment points. You attach accessories like a tail to the hips, you attach wings to the neck, more so than probably any other line. Is there anything that you wouldn’t do when it comes to experimenting with what a minifigure should look like? Tara: Never say never, right? But could you potentially get told, “Sorry, you can’t do that, because that’s not a minifigure anymore”? Tara: That’s a good question. Let me think… there are things we wouldn’t do based on playability and play value. I think it’s more about that. We wouldn’t pile up a bunch of hip elements to the extent that when you pick up the figure, the torso pops off. We’re thinking about things more from a play perspective. I would assume, for example, that you were getting close to a bit of rule-bending with the semi-transparent base for the ghosts, or the faun legs. Tara: That’s true. There are, and I can’t go into too much detail, but there are some legal restrictions in order to call a minifigure a minifigure. A certain number of parts. And we… almost always adhere to that. I won’t point out where we don’t, because I don’t want to get in trouble. But we generally try to stick to that, and there’s a good reason for that, because if you replace all the parts, then obviously it doesn’t look like a minifigure. We do want it to still appear like an iconic minifigure. 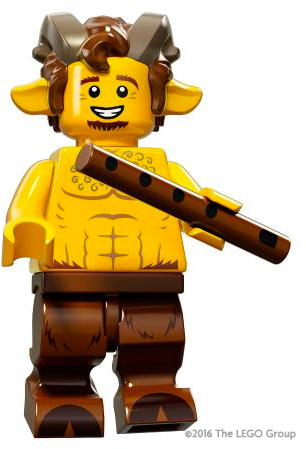 Austin: And any time we make a new element, such as the faun legs, we make sure that it’s still in the DNA of the minifigure. It’s still blocky and curves the right way. So as long as it still feels and reads as a minifigure, it’s all good. It sounds like you’re saying that it has happened, and you sort of got away with it? Tara: No, we’ve had legal exceptions. We haven’t done anything illegal. I can’t go into details about what the restrictions were, what the rules were that were broken, but everything was done above board! The amount of detail that you’re now putting into these minifigures is insane – not just the printing, but the actual moulding, as we’ve talked about. But there’s one thing missing from a practical perspective: By now you would have thought that you’d have moving short legs. Does that have something to do with the iconic look of the minifigure? 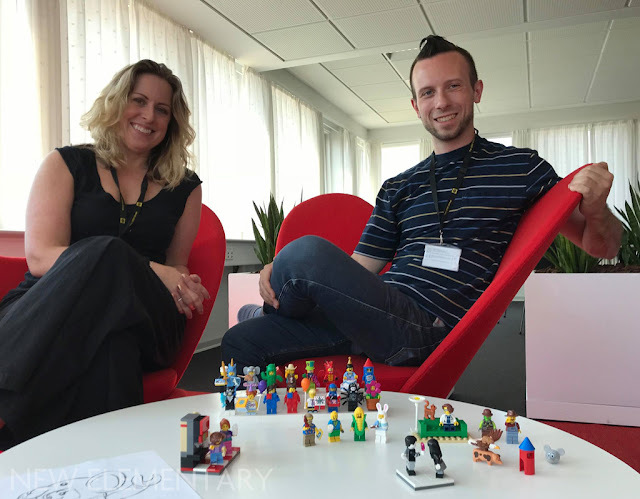 Tara: Any time we get close to a minifigure part, the more sensitive we are about how it’s designed and how it’s handled from a legal perspective. 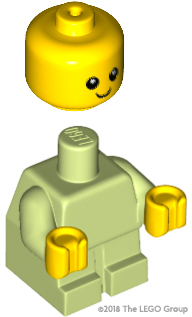 There’s a lot of people who suddenly get very interested if we want to change a part of the minifigure. That’s not to say it’s not possible to make pieces like that, and we certainly have a lot of good design reasons to try to do stuff like that. It would be great to have short poseable legs, it would be great to have kids that could actually sit down, it has a lot of good reasons going for it. But it hasn’t happened yet because of how true we try to stay to the minifigure form. So making a skirt is easier than changing the legs? Austin: I would say so. Tara: I think that’s safe to say. We have a baby mould now. Can we expect to see child-sized torsos then, something in between the baby and the adult? Or would that also be in that same grey area? Tara: That would be in the same area, and I can say that of all of the parts, if I had to rank them – and this is purely from a design perspective, I’m not speaking legally here – the head and the torso are probably tied for the most important shapes and icons to preserve in order to communicate that this is a minifigure. So I would think doing anything where we would severely modify the torso would require a total regime change. 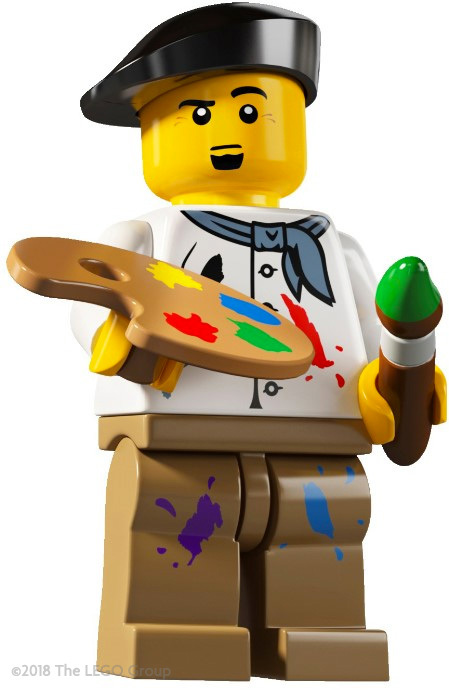 I’m not saying it’s impossible, and we as character designers love to have as many tools as possible in our tool boxes, but in some ways it’s the limitations that make it look like LEGO. 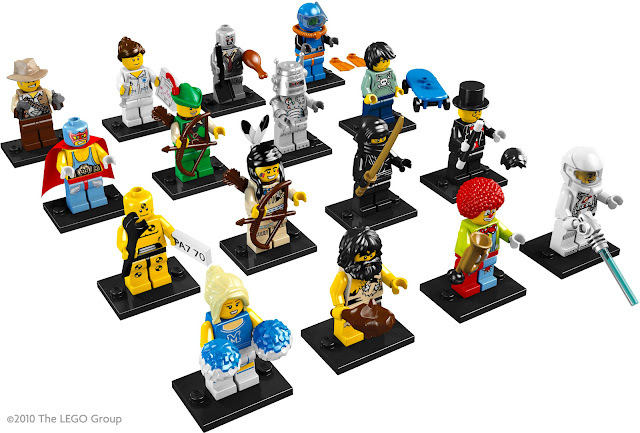 How do you decide which minifigures get back printing and dual-moulded arms? Tara: I guess it’s whether or not we feel it’s needed. Certainly if a figure is covered up, then we’re not going to do it, but… Austin, this comes more into your camp. Austin: Usually, it comes down to cost and then seeing what figures really need the back printing. 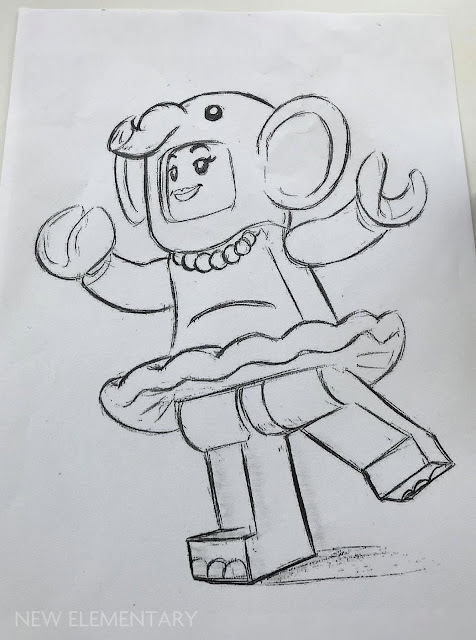 Take the elephant girl, for example: It’s grey. You don’t need detail there, really. But there are certain characters that are a bit more challenging, and then it becomes a puzzle game of how to make sure that we get enough details in the back. Sometimes that means looking at another figure and removing a bit of detail from there, so we can put it on another one. But now that the animal characters and the costumes have evolved, they usually involve less decorations, so that means we can at least bump it up elsewhere. 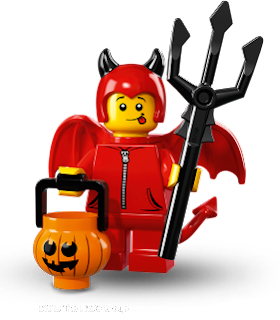 You mentioned that the costume party idea was to celebrate the 40th anniversary of the minifigure. Did you have any alternative ideas for the series? 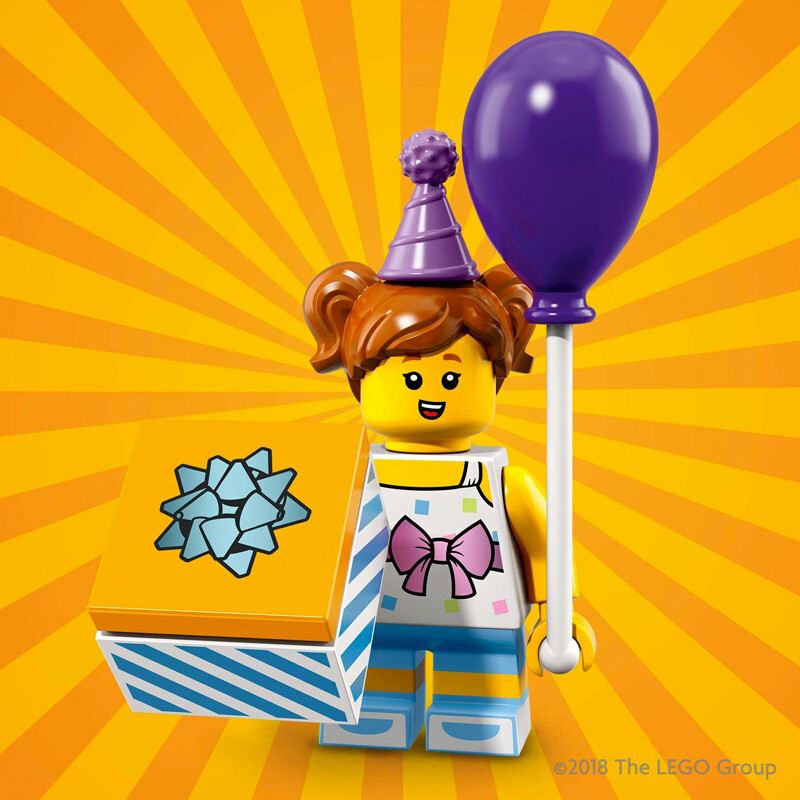 Tara: I always wish we had more marketing campaigns for the Minifigures line. This is one of those under-the-radar projects that doesn’t have a lot… we don’t get TV commercials, and we certainly don’t have a TV show supporting us, it’s just our little figures. Some local markets had some fun with it, but I felt that we could do more with it. Fortunately, I think that some of the LEGOLAND parks and stuff have jumped onto it, and realised what potential there is, so they’re creating events around it. To me, it was more about, “let’s just make a big noise”, and I think we went above and beyond as far as character design goes. There’s been a lot of controversy in the AFOL community about the police officer being so hard to get. Does the inclusion of these “chase figures” really help sales? Tara: That’s a good question and I’m not on that end of things, so I can’t confirm or deny that. I don’t know. But there must be a reason for them to want to do it. Tara: I think that in this case we know we wanted to pay homage to the fact that this was the 40th anniversary special, and we know that people would be interested in it, but of all of the characters, this one we thought maybe would be more interesting to the fans than it would be to kids. And we are primarily selling these to kids. So it was a bit of a compromise, a strategic decision to say, “we want to include it, we don’t want to have too much of it, how do we do this?” Obviously, there was pluses and minuses to doing something extremely rare, like Mr. Gold, that we’ve done in the past, so we felt that this was a little more fair. 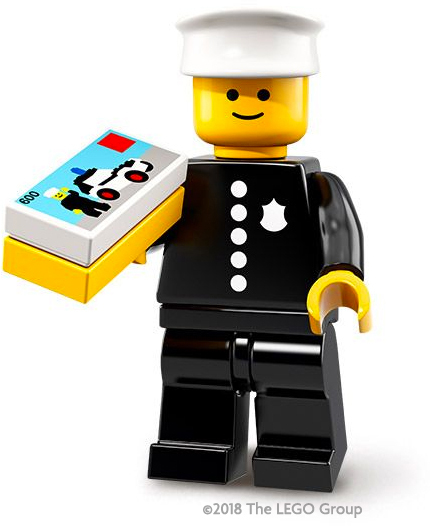 To me, the police officer is particularly cool, because I was born in 1977, and my first LEGO sets are from 1978. Tara: You bought a box! Well thank you. Do you have a favourite minifigure, or a favourite series, so far?Tara: Well, favourite series… Series 4 I liked a lot, but that’s a million years ago. There’s a couple of series that have versions of my husband in them, so there’s good reason for me to be into those! I was asked this in a previous interview, and for the favourite figure I picked the sailor, but maybe I get to pick another one now. I think I’ll say the artist! The face was based on my husband Jason, and I love the colours of the paint splashes, and I made both the palette and the paintbrush pieces, which both surprisingly proved to be extremely stressful to figure out how to mould and decorate – they look like they should be so straight-forward, but they presented some really interesting challenges, and I was very new to plastic moulding, so I learned a lot working on that. I also love the beret that Gitte Thorsen designed. The artist is a classic one for me. Austin: It’s harder for me to choose a minifigure, but out of the series, the birthday series is definitely my favourite. It was undoubtedly the most fun to work on, the amount of people that worked together on it was phenomenal, doing the sketches for it was fun, and there were just so many great stories attached to it. Seeing it come out in the box was amazing. And it was probably the most exciting series to receive test prints back from. When it comes to a favourite minifigure, it’s more tricky. I actually usually go back to the more classic stuff, so as an all-time favourite minifigure I would probably, out of nostalgia, pick Captain Redbeard, because when I was younger, Pirates was such a big line for me, and that was definitely the figure that I carried around the most as a child. Buying a box of LEGO Minifigures Series 16? 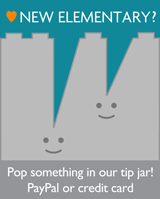 Buy from Amazon and help New Elementary! Wonderful interview! Lots of great insights, including both things I had sort of assumed (i.e. 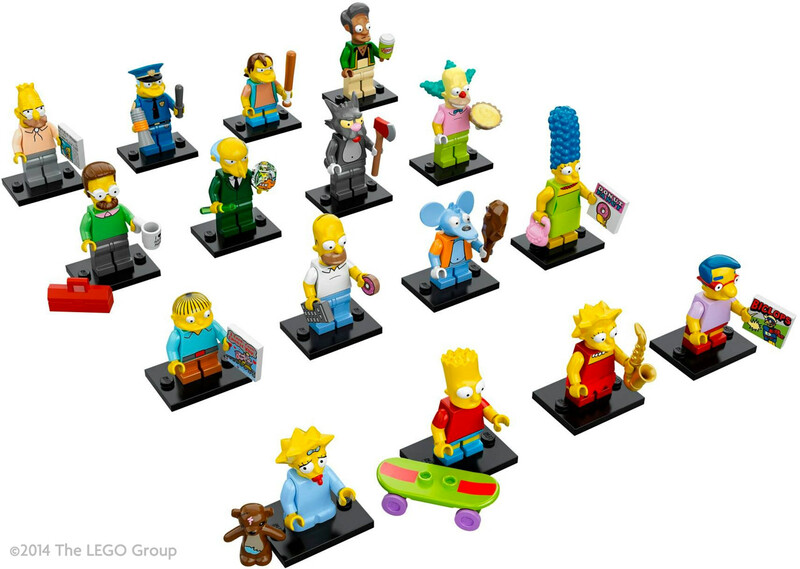 why series like Simpsons are chosen even when they don't get a wide range of accompanying sets) and things I hadn't (it honestly never even occurred to me that the minifigures don't get TV advertisements like other themes). Personally, one of my favorite figs in recent years has been the Spy, which is a pretty amazing redesign of Dash from the original Lego Alpha Team. I'd love to see more figs like that, that don't just remake older figs like the classic policeman but go the extra mile to update their entire look to modern standards! It's funny that they thought the retro policeman would be fun for the adults. That's the one that given the scalpers snapping them up actually made me slow down my purchases of CMFs. It became less fun and more of a chore to collect. I guess I'm in the minority as Lego has done it again with a one-per-box Harry Potter CMF series. Funny you should mention that. By the time I actually saw my first sealed case of S1, I'd already bought a ton of them, so I did end up passing on that. But starting with S2, I bought sealed cases plus extras (S4 I ended up buying two). I even bought a sealed case of Team GB, shipped to the US. It was Mr. Gold from S10 that killed that. I bought a sealed case of S10, but having failed to get Mr. Gold, I ended up just buying a complete set of S11 plus a handful of extras. I mean, right there my purchasing dropped about 75%. S12 on, I only bought a few select minifigs here and there for a few years. Disney I bought a lot of, but I think I skipped around half of them, so I was really building up large amounts of select characters. TLBM1 was the first time since S11 that I completed a set, and the first time since S10 that I bought a sealed case. I have a complete set of TLBM2 but still need to buy a case. S14 I bought a lot of, but still passed on a few so I never did complete that wave. S18 is the first numbered series that I actually own 100%. I still skipped the case (no plans to buy one), but the first time I ran across them I was able to find all of the common minifigs, and by a stroke of luck (which I will not explain here), I ended up being able to add a Policeman to the pile and get the _full_ series in my initial purchase. But there are five numbered series that I barely touched, as well as the two Simpsons series and TLM/TLNM. I don't own a single German Soccer minifig. And it's pretty much all because of one thing: Mr. Gold. I probably would have passed on the cop as well, if I'd had to actually invest any effort/money into tracking one down. One thing that I think should be added to this is pieces transferring from CMF to regular retail sets. At Brickworld, I was able to sit in on a seminar being run by one of the Friends designers. I asked her what the process involves for transitioning a CMF-exclusive element to European production for use outside of the CMF line. She said that it's definitely something that they have to justify, so there will always be elements that are going to remain exclusive to the CMF theme. But if they make a part that's got a wide variety of uses, or that fills a core need, they can pitch the idea of tooling up a second mold for regular production outside of China. Some of the accessories that have made the jump are the S1 raygun (with some modifications to the design), the S2 Spartan shield/weightlifting weight/microphone/ski & pole/surfboard/minifig trophy, the S3 snowboard/goggles/longbow/boombox/bat, and a lot of hairstyles originated in the CMF theme (I'd say new hairstyles have a better chance of being approved than the handheld accessories). Stuff like the mascot costumes almost never show up outside of the CMF theme (the hotdog costume is the only one I can think of that has). I very much doubt we'll see much of the S18 molds being used again even in the CMF theme, given how many of them are mascot costumes (with the unicorn being the only straight-up repeat I can think of). Great interview. My favourite minifigure remains "Warrior Woman" (aka Xena: Warrior Princess). It's a shame that they still haven't made an Amazon Princess (aka Gabrielle) to accompany Warrior Woman on her adventures! An interesting interview and great to see the designers with just as much enthusiasm for the products as the collectors. I have lost a lot of interest in the series since more and more licensed themes have been introduced. It does seem that Lego currently just churn out products to appease comic book fanboys/girls and these rarely have any use for other purposes. One of the bright points about the non-licensed series is the variety of themes, meaning there is always something for everyone. In addition, the non-licensed series have always introduced parts that wouldn't usually appear in sets of bricks, like new animals (the skunk, rabbit, penguin), sports equipment (hockey stick, tennis racquet, baseball bat), musical instruments (guitar and saxophone). 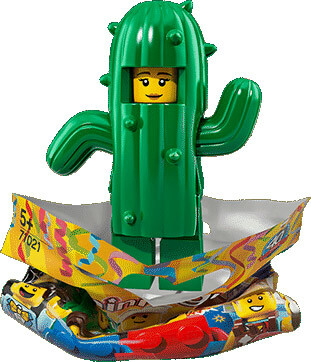 Hopefully they will revert back to making more non-licensed series so that original fans of Lego can see more unique accessories. I agree. While I understand why TLG need to release licensed stuff to draw new people in, I think it would be even better if they had a model similar to Bearbrick. For example, in every series one character is from Marvel, one DC, one Star Wars, one from another recent movie, one is from an invited artist/designer (different each series, could be like a graffiti artist, t-shirt company etc), one Ninjago, one from some other Lego theme (Chima, etc), and the rest is "normal" Lego minifigs. This way, everyone would have a reason for buying every series. They seem to be skirting around the "chase figure" question, claiming here that it's to make a less desirable fig more popular, but all it does is encourage scalping. There was a clearly logical way to arrange the Harry potter box, with 3 sets of Harry Potter and 2 sets of Fantastic Beasts equaling 60 figs, yet they chose to include the chase fig. I personally know many people that would have purchased and split a case, me being one of them, yet due to the inability to split a case evenly, will not be getting any of the Harry potter figs as we don't want to bother with trying to find a fig that has been scalped from relatively every box. If Lego continues to do this, I will lose a bit of faith in how much Lego actually cares about their customer base, and will continue to not purchase any cmf series as I have for the last two. At least from my perspective, it feels like the CMF chase figs are just an attempt to make more sales, at the benefit of scalpers and the harm of everyone hoping to collect a complete set. I think you're misunderstanding what they said about the chase figure—it's not about making a less desirable figure more popular so much as about fitting a much more niche figure into the series whatsoever. For most of the kids who make up most of the audience of the CMFs, the classic policeman holds no special value due to a lack of nostalgia for that period, so it'd be harder to justify adding as many of those as they have similar figures. Including a single one per box is their way of getting it into the series at all. And ultimately, that means fans who get it are lucky and those who don't are no worse off than if the fig had not gotten released at all. As for the Harry Potter set, they probably didn't address it because this interview was done far in advance of when they were even announced (hence them playing coy about the shorter moveable legs as well). But 22 figures is a lot, and a distribution like you suggest would hardly make any difference (two figures instead of one per box merely doubles your chance to get a fig).